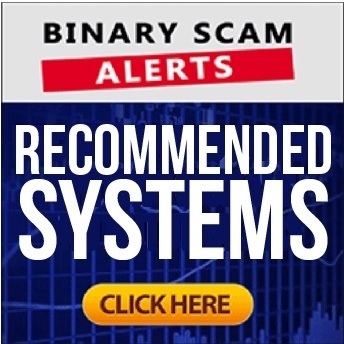 Binary Scam Alerts is categorically blacklisting the Quantum Income Machine SCAM (AKA the QIM App, Software, and Autotrader) as well as Julia Burke the fake entrepreneur and make-pretend Millionairess. Our staff is constantly receiving mounting complaints from irate day traders telling tales of how they were fleeced and bled dry by crafty, unregulated, binary options brokers. As a result, we have conducted a full investigation and review into this evil scheme and our conclusions we nothing less than scandalous. 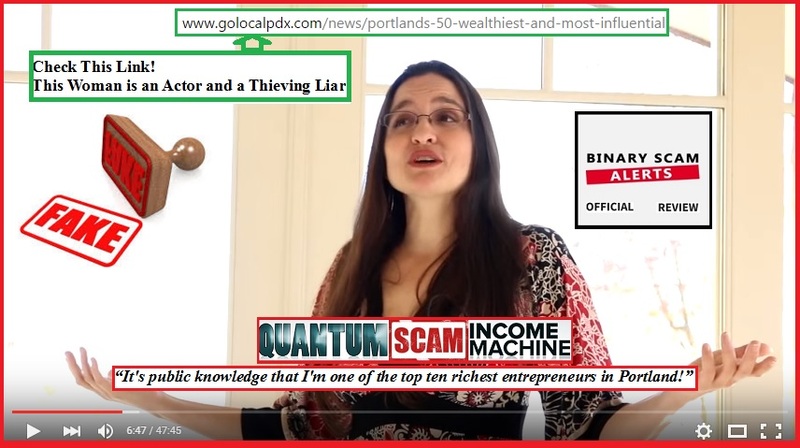 This person, whoever she is claims it’s “public knowledge that she is one of the top 10 richest entrepreneurs in Portland”, so we checked her out in a variety of places and sources. There is no Julia Burke listed anywhere in the top 50 wealthiest people anywhere in Portland. This person also does not have a public social profile on Facebook or LinkedIn, try finding one if you can. On a more personal note, much similar to the Quick Cash System I find it very offensive when innocent children are used to lure unsuspecting victims into an obvious deception. In fact, I believe the same people are behind this nasty new scam. As if this wasn’t enough and more proof is required, the fake bank wires from Intuit indicate the payment amounts, but in reality these amounts always come directly from the broker’s bank account and not from payroll services. That is how traders get paid, they are not employees and don’t get salaries. You can even see its the same “Bus Advantage Checking Number – 2239”. Finally, as was the case Quick Cash System, the software is not displayed and no results are presented from the actual trading accounts. All you see is inflated bank accounts without any way to check the performance levels or at least see the actual software perform. This piece of trash scores a big fat zero where transparency is concerned and that is a huge red flag when checking out new systems. I really must admit, the colorful story about a single mother abandoned by her husband and left to fend for herself and her 2 children is truly captivating and makes you identify with the “hero” of the plot. In reality, it’s a classic take on a Cinderella Story where good overcomes evil and they live happily ever after. However, in real life the lines can be blurred and the so called hero can turn out the be the villain just as the case is here. The tall tale continues as colorful figures such as Josh boast massive profits generated through this app and how Julia saved their lives. In reality, this is nothing more than a hyped-up binary options scam and it’s quite evident a lot of money was poured into this evil scheme to make it look believable. You won’t see Fiverr.com actors here, and image bank photos will not be found, which makes it that much more dangerous. So if you decide to buy into this charade, don’t say we didn’t warn you, because all the technical analysis, candle sticks charting, market trends, bolinger bands, momentum trading, and scalping will not help you in the least bit. All you need to do is collect whatever is left of your balance and cash out. Yes, it’s totally free but big surprise. You will need to open and fund a trading account with one of their recommended brokers and that will cost you at least $250. These include but are not restricted to: My First Online Payday, Trade X Confidential, Limitless Profits,Millionaire’s Blueprint, Trade Tracker Pro the Amissio Formula, Tauribot, Citidel, the Push Money App, Centument, Virtual Income, The Lie Detector Millionaire, Binary Matrix Pro, Lie Detector Millionaire, TrianaSoft, Insured Profits with Dave and Ginny, the Sydney System, TSI System Scam, The Free Money System with Walter Green, and Binary App 810. With the mounting tide of new apps coming out on a daily basis, you can expect many fake systems to flood the market. BSA has drafted a rigid set of quidelines that qualify software providers to be listed on our recommended service section. 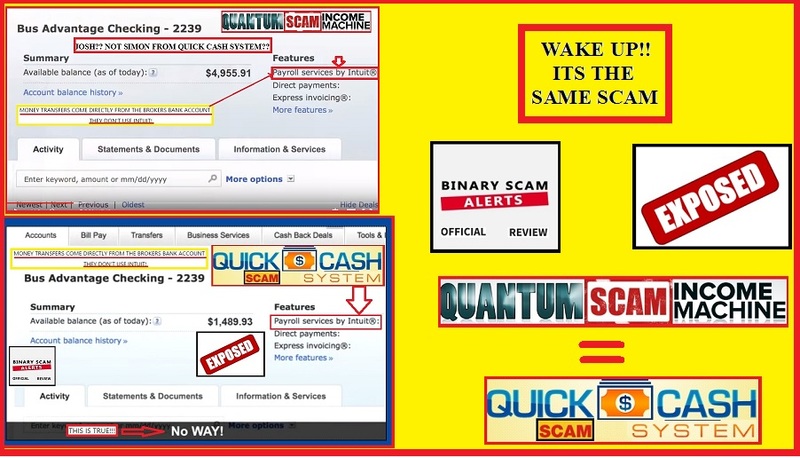 The Quantum Income Machine (AKA the QIM App, Software, and Autotrader) as well as Julia Burke the fake actress is a malicious binary options SCAM. We are warning all our members and viewers to use extreme caution when receiving any form of email or advertisement in regards to this fraudulent piece of code. As always, please join our Facebook page and Subscribe to our YouTube Channel.